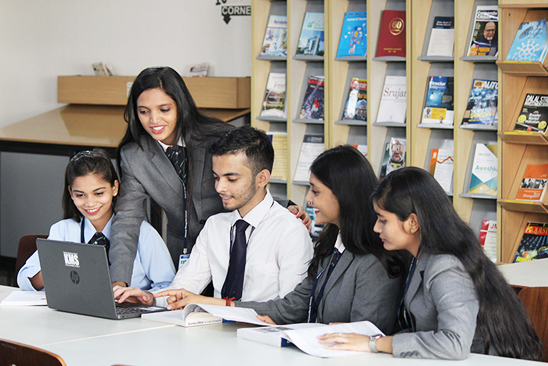 Admission Open for PGDM Academic Year 2019 - 2021. Click Here to Apply Online. | Prominent Educationist CA Sunil G. Karve Sir, honoured with Maharashtra Ki Shaan, Maharashtra Manch Gaurav Award for “Excellence in Education” by India News. | Click Here: Coffee Table Book "Excellence in Education" by CA. Sunil G. Karve, Hon. Chairman, Governing Board – KET | Prominent Educationist, CA Sunil G. Karve Sir, Chairman, Governing Board - Kohinoor Education Trust (KET), life sketch featured in 'The Luminaries of Mumbai', tabloid by Hindustan Times on Saturday, 14th July, 2018. The Institute is located 10 minutes drive from Mumbai's main corporate hub - Bandra Kurla Complex (BKC). Kohinoor Business School (KBS) has state of the art infrastructure and instructional facilities for Post Graduate students in various functional areas of specialization. A manager today has to lead, meet targets and also to be successful in creating a second line of leaders. As citizens of the New Global Village one needs to be prepared to smoothly step in the leaders shoes if the need arises. The qualities of leader : Strong moral fiber, vision, determination and focus to transform that vision to reality is within reachable grasp of everyone. Subjects such as Business Ethics and CSR which sensitize students on sustainable development. Mumbai based Kohinoor Business School (KBS) offers 2 year full-time PGDM (AICTE approved) & MMS (affiliated to the Mumbai University) programmes in Management. It is ranked 10th in Mumbai by Times B School. Mumbai Campus:- Kohinoor Education Complex, Kohinoor City, Kirol Road, Off LBS Marg, Kurla (W), Mumbai - 400 070.